Duniyar Kaedge lovers ek hou. I still don't like the idea of playing Imrul in place of Bijoy on final. Another experiment worth trying out is Mominul opening with Tamim. Has the technique to see out the new ball, very good with the field up in the circle. SL promoted Dilshan from middle order to opener, India tried the same with Rohit Sharma. So if we dont have any more options beyond Soumya and Imrul, worthwhile trying sth else. I like the idea. Momin should help his case by opening in DPL. He was the second highest scorer in the Dhaka Premier division. Maybe that prompted them to pick him in the squad. But when it comes to international cricket he hasn't shown any improvement of his technique against quality pacers. He was exposed last series as well and got dropped, this is not the first time he is playing international cricket. 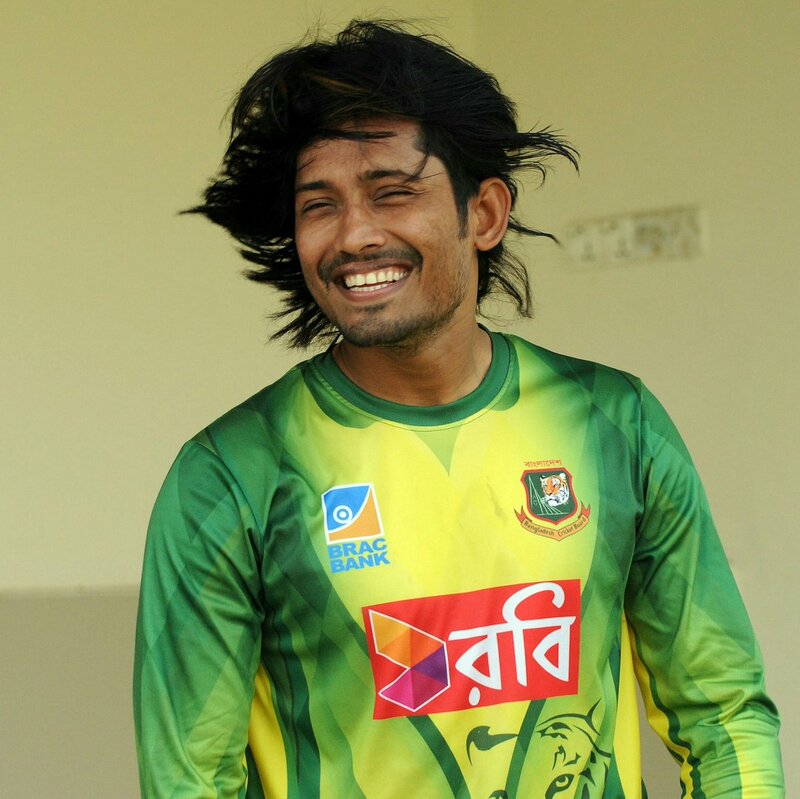 It seems the selectors don't have much of a memory to remember the last time Anamul played. Dude is a lost cause. I backed him for a while but he is done. Don't think he has any future in international cricket. Absolutely useless. Got a duck in the practice match too. Why is he even playing when Liton and Shanto got solid knocks in the practice game and he got a duck? He is one of the biggest hacks I have seen in my life but according to some Mushfiq was stopping him from becoming the next Gilchrist. ^ because mash wants to make amends for dropping him in the tri series final. Read his last interview in bdnews24 site. For few things I thank haturi a lot. One of them is, dropping this hack from the team. Bring back my boy BHIMRUL! Yeah not much sense picking anamul over liton and shanto. WHY THE HELL WAS LITTON DROPPED FOR THIS HACK? Because the hack helped Abahani to win the DPL title this year, while Liton left Abahani for Prime DSC. Unfortunate to get a wrong decision against him. I would normally agree but when I see a whole forum against one guy, I’m pulling for that guy to come through. it would be better to give others a chance than Anamul. He reminds me of Shahriar Nafees. That guy also after some good knocks resort to lomba chul futani. The rest was history.